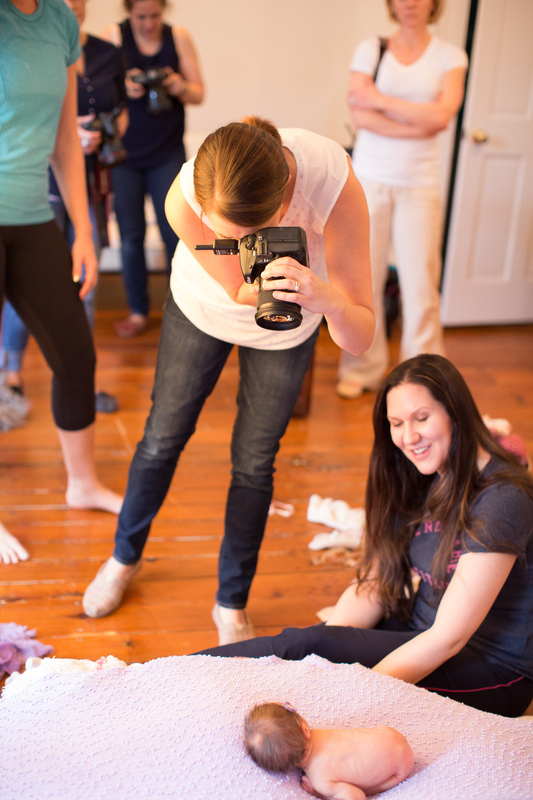 I had the opportunity to attend Little Moon Photography's Newborn Workshop on Monday and it was a blast. Not only did I learn so many amazing new tips, tricks, and insights into the world of newborn photography, I met so many amazing ladies. Katie Wilson Photography and I ventured up to Northern, VA on Sunday morning. We started the day lunch and some outlet shopping. What girl doesn't love the outlets!!! Our amazing host, Amber, treated us to a delicious dinner. It was such a treat getting to know the ladies attending the workshop. I loved hearing everyone's story of how they started out and exactly what we wanted to get out of the workshop. 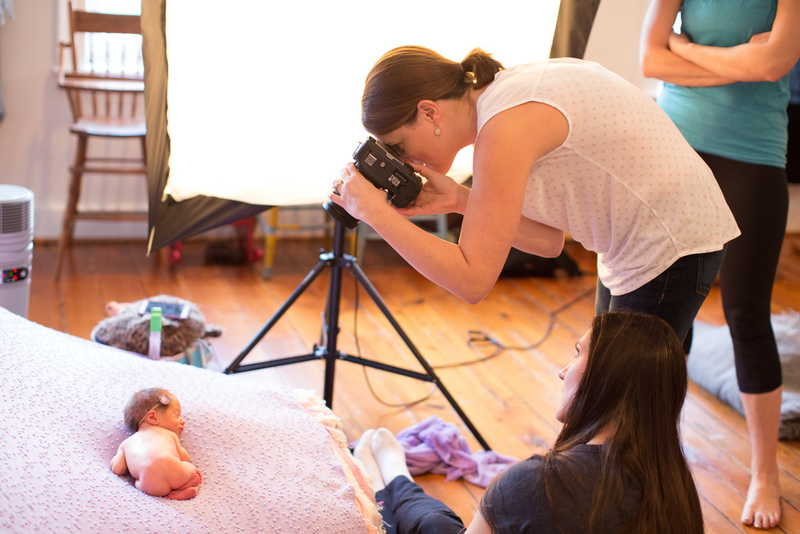 With coffee in hand, we ventured over to Little Moon Photography's studio to start our day. We talked business, marketing, and pricing over breakfast and before I knew it, our first little model had arrived. We had three of the most beautiful baby girls visit us that day and they all slept soundly while watched Amber work her magic. Not only did we watch her, we were able to shoot each pose ourselves with Amber right beside us, coaching us along. If you are doing a workshop, hands on is the way to go! A huge thank you to Amber for giving us such an awesome day of learning and to all the ladies that attended for their support and encouragement. I am so excited to take everything I learned and bring it back to my babies! *Thank you for capturing me in action, Katie!